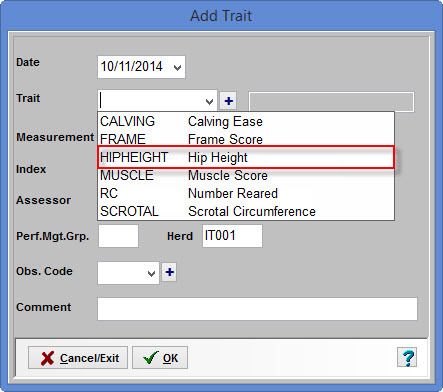 How do I add a Hip Height trait and have it automatically calculate the frame score? 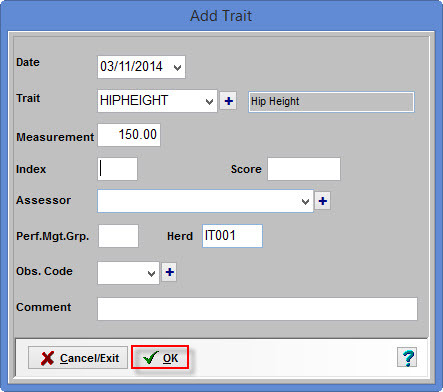 Firstly you will need to make sure that your traits are set up correctly. 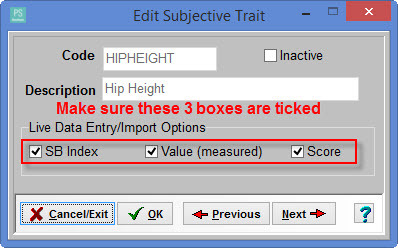 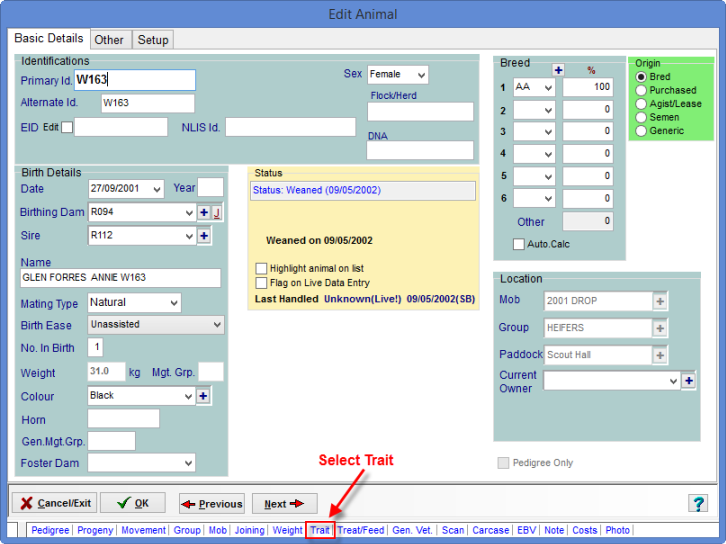 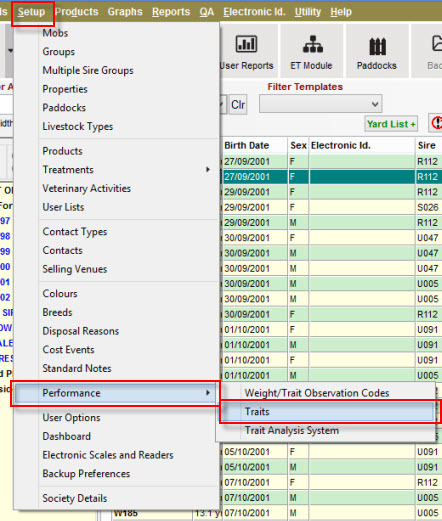 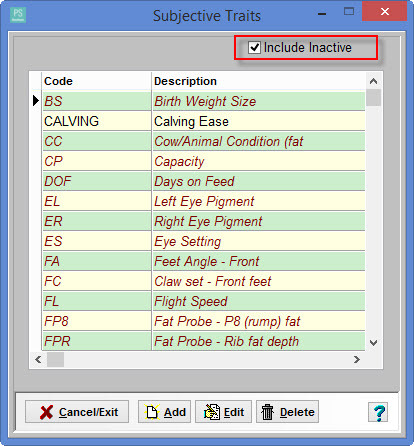 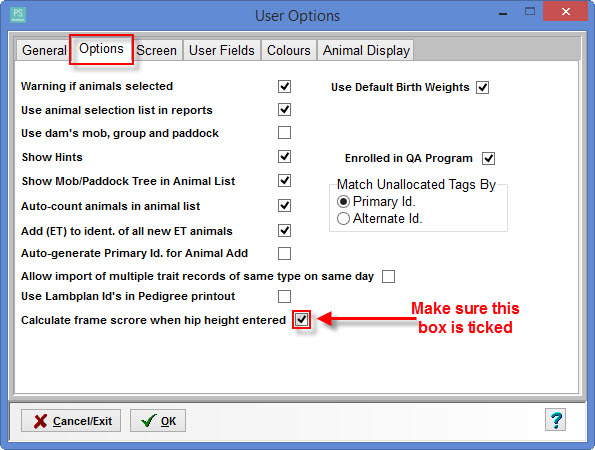 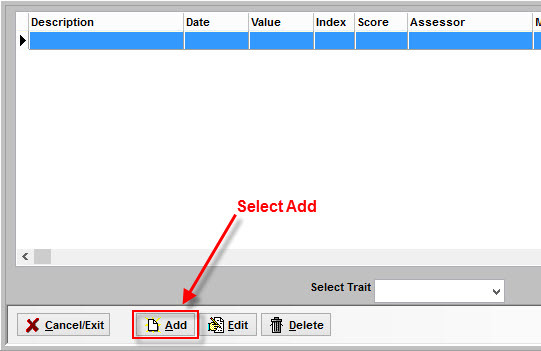 Make sure that the three options are ticked under Live Data Entry/Import Options. 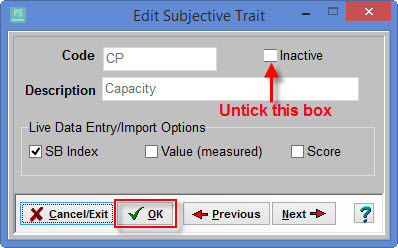 Untick the Inactive box to make it active again.